The only way to register is online. Registration opens on October 3. 2. Who qualifies for the student registration pricing? The student registration category is intended for full-time students pursuing a career in horticulture, the landscape industry or the retailing of lawn and garden products. By selecting the student registration category, you agree to provide proof of enrollment as a full-time student (verification of current credit hours) upon request of ProGreen EXPO. 3. I want to register a large group, how do I do this? 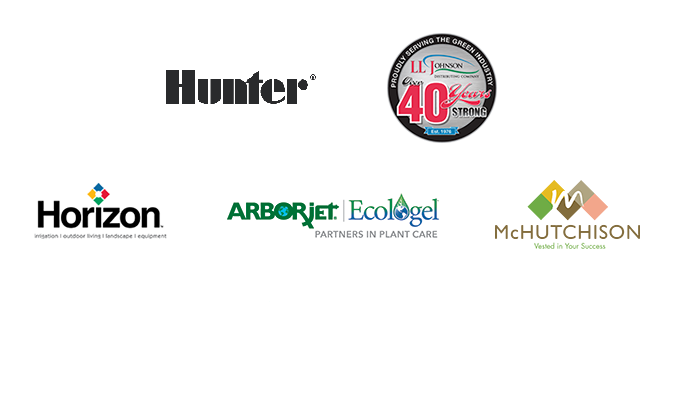 ProGreen EXPO welcomes large groups to register together at a discounted rate. Group members must register all at the same time, and no refunds will be given after the group registration is submitted. 4. How do I cancel and/or get a refund? Cancellation policy on or before January 8, 2019: ProGreen EXPO will refund 75% of the fee paid. No refunds will be granted if the fee is $25 or less. After January 8, 2019: No refunds will be provided. All cancellations must be made in writing and submitted to progreen@kinsleymeetings.com. No cancellations will be accepted over the phone. Submission date, if mailed, is based on postmark. All major credit cards, checks and POs are accepted. Full payment is due before entry to sessions and/or before access to the EXPO. 6. Can I register on-site? Yes, registrations are accepted on-site. Follow the signs for on-site registration when you arrive. We recommend pre-registering online and before the early bird deadline to receive the discounted registration rates. 7. Will you mail my badge? No, badges will not be mailed. You will pick up your badge and registration packet when you arrive on-site. Follow the signs for "Self Check-In" if you have pre-paid and registered to print out your badge on-site. 8. Does ProGreen EXPO have guest passes? ProGreen EXPO does not have guest passes - the only registration types are full, one/two day, or EXPO only. All persons wanting to go into our EXPO and/or Education sessions must register. 9. Why does ProGreen EXPO ask demographic questions with the registration form? ProGreen EXPO wants to continue to improve the show year over year. Demographic questions help us to know who is attending our show. These questions also help exhibitors when deciding to attend the show. Thank you for your assistance in completing these questions while registering. 10. What comes with my registration? Full Conference registrations come with access to all general educational sessions and access to the EXPO for all days of the conference. Additional training sessions and certification testing not included. 2-day and 1-day passes come with access to educational sessions on the designated day(s) and access into the EXPO all days. EXPO Only passes come with access to the EXPO on all days the EXPO is open, but does not provide access to the education sessions. 11. Do I have to select the day(s) I want to attend prior to arriving on-site? Yes, you must select the day(s) you plan to attend if you are registering as a 2-day or 1-day attendee. 12. What does it mean when it says member pricing? Attendees that are current members of one of the hosting organizations (ALCC, CNGA, GCC, ASLA, CALCP, ISA, RMSGA) qualify for membership pricing. You must be a current member at the time of the event to qualify for membership pricing. 13. How do I become a member? 1. Does it cost money for an EXPO only pass? EXPO Only passes cost $15 for members on or before January 8, $30 after January 8 and $40 onsite. EXPO Only passes cost $30 for nonmembers on or before January 8 and $40 after January 8. 2. Can I get into the hall on all days there are Education sessions? No, Tuesday, February 5 is a set-up day for the EXPO. No attendees will be allowed into the hall on this day. The EXPO opens on Wednesday, February 6. 3. What are the EXPO hours? ProGreen EXPO is a recruitment free zone. Please refrain from recruitment conversations within the EXPO and in the education sessions. Anyone found to be recruiting at the show will be asked to stop or leave. We do offer a Job Board to post listings for follow up after the show. The Job Board is located within the EXPO. ProGreen EXPO, in partnership with the Colorado Convention Center, prohibits weapons from being brought into ProGreen EXPO events and the Colorado Convention Center. Weapons include, but are not limited to, any and all items that can be construed as weapons, such as firearms, knives, self defense spray devices, brass knuckles, and stun guns. This policy exists regardless if the individual has a concealed weapons permit. ProGreen EXPO has a no tolerance policy for suitcasing. Non-exhibiting companies are not allowed to distribute material or samples or promote their company in any way to attendees or exhibitors throughout the whole conference area. 1. Are there sessions during ProGreen EXPO that qualify for continuing education units (CEUs)? Yes, sessions offering pesticide or arborist CEUs will be posted on or before October 5, 2018. All sessions at ProGreen EXPO will be accepted for CEUs for CNGA, CCNP or CGG certification programs. Landscape Industry Certified recertification, as offered by ALCC, is also available. 2. Will pre-printed presentation handouts be available? No, ProGreen EXPO is a GREEN conference. No pre-printed handouts will be available, all hand-outs will be available online to registered attendees. ProGreen EXPO encourages you to use the event Mobile App that will be available before, during and after the conference. The app will house all the handouts for you to view in the palm of your hand. Help us save paper by going GREEN with us. (Note: Handouts that are not provided by the speaker will not be available online or within the app). EMT’s will be located in the first aid room in the Colorado Convention Center during conference hours. In case of emergency please contact security at extension 207 from any house phone or 303-228-8030 from an outside line. 1. Is food included in registration? No, meals are not included with your registration. Concession stands and food kiosks will be open in the EXPO to eat lunch and Downtown Denver has numerous restaurants within walking distance to the Center. You are welcome to bring your own lunch if needed. Please turn in all lost items or check for a lost item at our ProGreen EXPO registration desk in Lobby C. All items will be held at the registration desk through the conference. Once the conference concludes, all items will be turned into the Colorado Convention Center security office located near the 12th & Welton entrance.